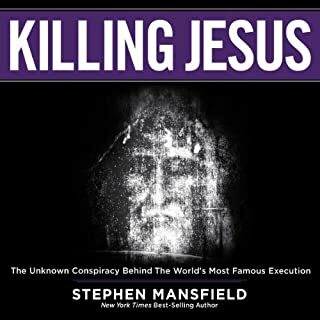 In Killing Jesus, New York Times best-selling author Stephen Mansfield masterfully recounts the corrupt trial and grisly execution of Jesus more than 2,000 years ago. Approaching the story at its most human level, Mansfield uses both secular sources and biblical accounts to bring fresh perspective to the human drama, political intrigue, and criminal network behind the killing of the world's most famous man. The 2016 election of Donald J. Trump exposed a deep divide in American politics and culture, one that pollsters and pundits didn't seem to realize was there. But Trump did, and he used it to his advantage in ways that surprised nearly everyone, even those who voted for him. Perhaps the biggest question on many people's minds is how, exactly, did a crass, unrepentant reality TV star and cutthroat business tycoon secure the majority of the religious conservative vote? Three hundred years ago, an uneducated lay cook in a French monastery discovered how to enjoy a profound awareness of God moment by moment, even in the midst of busyness and distraction. "The Practice of the Presence of God" reveals Brother Lawrence's secrets. Brimming with wisdom and spiritual insight, this classic memoir of the devotional life witnesses to the joy available to all who will seek Him. Finding God can be difficult even in times of joy. But consider the times - and profound sorrows - of Abraham Lincoln. His beloved mother died a painful death before Abe’s tenth birthday. His father was abusive when the man wasn’t absent entirely. Abraham was so beset by depression that he neared suicide on numerous occasions. He lost one son when the boy was the tender age of three. A second was eleven when he died, and this was less than a year after Lincoln assumed the presidency of a fractured nation. Despite his trials - or perhaps because of them - Lincoln yearned for comfort beyond the mortal world. He took counsel with ministers. He read voluminously. And he prayed. Still, it is not easy to number Lincoln among the saints. He never joined a church and he seldom spoke of Jesus Christ. Even during his lifetime, his religious statements were greeted with skepticism. And yet the evidence indicates that Lincoln did indeed struggle to find a life-changing faith, to follow the deathbed charge of the mother he adored: “Worship God.” He struggled, too, with God’s will in the great war, the war between brothers Lincoln was unable to prevent. These wrestlings led to his benevolent treatment of his former enemies and ultimately to the sentiments he expressed in the greatest of American sermons, Lincoln’s Second Inaugural Address. Lincoln’s Battle with God will challenge both of the accepted views of the great man’s faith: the atheist Lincoln and the passionately religious Lincoln. Stephen Mansfield presents a Lincoln ever on a journey of faith, a journey cut short by an assassin and obscured by scholarly bias and conflicting evidence. Abraham Lincoln’s spiritual journey offers profound insight into the man who is today perceived as nearly the soul of America. 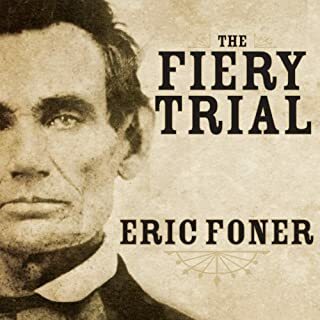 His spiritual battles are not unlike those of our nation, which makes Lincoln’s story of faith as told in this marvelous book a story vital for our times and perhaps vital for our souls, as well. 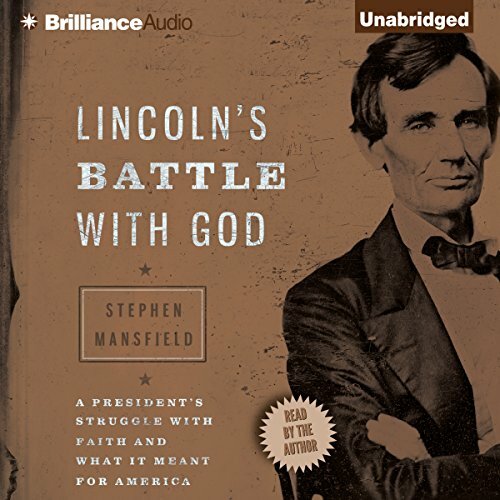 ©2013 Stephen Mansfield (P)2013 Brilliance Audio, Inc.
As a Christian and a pastor, I have long chafed under the historical illiteracy which attempts to wrap the cloak of sainthood around the brooding figure of Abraham Lincoln. Well-meaning people have attempted to make Lincoln a Christ-like figure, loving, forgiving, kind, wise, and godly. This is the first work I have read that gets the story right. 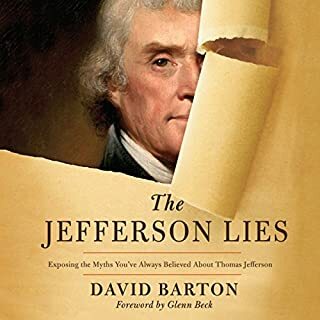 The author is frank and honest to admit that Lincoln was "the village atheist" in New Salem, having rejected the 'hard shell" Calvinism of his father, and the wild excesses of the Baron Stone Camp Meetings. But Lincoln's story proves infinitely more complex. Through the death of two of his sons, his own mental condition of depression which left him suicidal, and his wife's mental instability, Lincoln gradually moved toward the Christian faith. I would recommend this book to anyone who has an interest in history and the truth about Abraham Lincoln's journey in faith. Lincoln is an American Saint, in my opinion. I have studied his life for 40 yrs. ; it opens room for more questions. Between this book and Joshua Wolf Shank, one can develop who Lincoln truly was. The battle with God is a little drawn out. I believe that the reading level maybe to hard for some and you would have had a philosophy class to understand terms. What did you like best about Lincoln's Battle with God? What did you like least? The author did a terrific job of exploring the complexity of the subject. I learned a lot from reading the book. I especially liked the fact that the author read it himself. Very sincere. What was one of the most memorable moments of Lincoln's Battle with God? Most memorable was how it begins -- with the assassination. Very dramatic. He does a good job with lots of other parts of the book. Have you listened to any of Stephen Mansfield’s other performances before? How does this one compare? 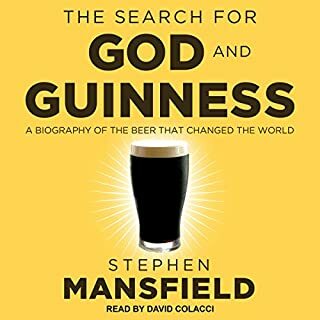 What else would you have wanted to know about Stephen Mansfield’s life? Somewhat curious about his own religious beliefs. I would recommend this book to Christian and non-Christian friends, alike. Many books have been written about Lincoln from many aspects of his life and the events of history around him. Through my few years (67) of life, I have yet to read one that spoke with such meaningful insight regarding his spiritual journey. I have read that many authors say he believed in God and others, he didn't; he was an atheist because of his father and on the other hand, others say only a man of God could have brought us through the Civil War, etc, etc. 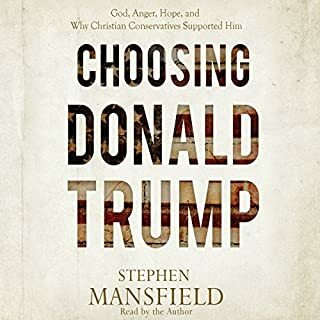 Until Steven Mansfield, I have not read a book that spoke of Lincoln's exposure as as child to his father's punitive, miserable god and his gradual understanding of a loving and powerful God in his mature years. It is amazing to me that so many authors miss the fact that spiritual growth in most cases is a life-long journey and effected through life experiences...many times, very painful experiences. I would like to read this book several times. Loved it! the author Not only did a good job representing the facts in a fair and impartial way, but also in enunciation and reading. This book provides a chronology of A.L.s religiosity w/ plenty of support. Enjoyed hearing new stories made up of well chosen words throughout. Enjoyable, informative and balanced. Highly recommended. 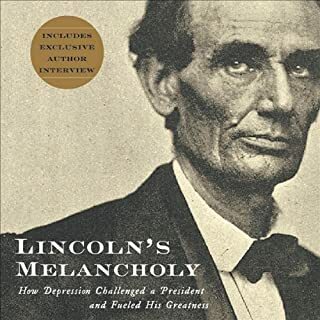 I listened to this book after first listening to Joshua Wolf Schenks "Lincoln's Melancholy" which I also highly recommend. The author is a pleasant reader to listen to, which enhanced the experience. Any conclusions we or the author might draw about Lincoln's faith and spiritual journey are well informed here by the existing evidence. My admiration for Lincoln has only been deepened by listening to this work. God knows we need heroes in our own current "civil (cultural) war". I really appreciated this book because of the detail that Mr. Mansfield went into in regards to the faith of President Lincoln. However I also appreciated the fact that the author looked at both sides of the issue and seemed to present an objective and fair assessment. from antagonistic attitudes st the csmp meetings and terrible example of his father, and how he , step by step went from depression and unbelief to being drawn nearer by the Word of God as president with death of two sons and burden of the worst war when he was Commander in Chief!